It’s a beautiful, wild & often scary thing to say YES to a big desire – like the desire to coach others. Gathering the courage to say YES is perhaps the hardest part of the journey. And you want to make sure you’re saying YES to the right experience for you. 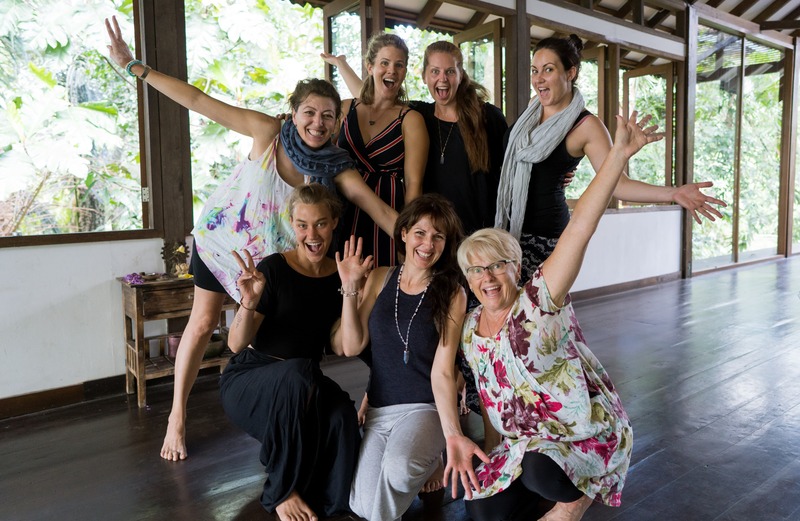 Doors are now open for the Feminine Embodiment Coaching Certification March 2019 class. So today I wanted to share 5 ways this unique training is, hand-on-heart, one of the best investments you’ll ever make personally & professional. Knowing the theory of coaching tool is important (you want to know what science & philosophy backs your work up) but mastery is more than book learning. Magnetic coaches live and breathe their tools, they metabolize the theory into an embodied experience so that they are the medicine they preach. We’ll support you to learn amazing tools across the spectrum of pleasure to pain, light to dark, as well as unravel your own healing & integration of the tools in your body. From holding coaching sessions to onboarding clients, pricing, expression and websites we’ll support you to learn (and most importantly) implement the successful structures for a successful coaching business. Learning real-life business & coaching strategy from a successful coach (who’s actually created a successful business doing this work). Confidence comes through practice & personal mastery. By the 8th week mark you’ll have learnt the Core Coaching Framework, our coaching system AND you’ll be practicing with your peers. Moving through the niggles, fears & doubts about “can I really do this?” and “am I asking the right questions” in our safe space is the fastest way cultivate the confidence from within. Forbes describes the coaching industry as “rapidly growing” – but very few coaches, worldwide, at this time, are truly serving the feminine. As more & more souls are waking up to the longing inside them for MORE life, MORE feeling, MORE depth we need more embodied guides, supports & coaches to partner with them. The feminine has awoken within you at this time, for this purpose. Who are you to deny her? Stepping up from personal healing into professional mastery can be a lonely road. The challenges and initiation we face are unique to feminine leadership – which is why it’s so critical to be supported by peers. This experience is an initiation into your next phase of leadership. The gifts of the feminine have already awoken in your heart, you are already a leader in this space, we see you as that, and our beautiful mentors & community will help you to find the inner confidence to claim it. If you’ve been feeling the call to join us, this is your final chance to apply! Once you’ve filled out a short questionnaire we’ll have the chance to speak about your unique situation & desires, and see if this program truly is a good fit for you! It’s a no obligation discussion – just a chance for us to connect & feeling into if we’re a good fit to work together. If you have a question, hesitation or would like to clarify anything about the training feel free to email us at support@jennaward.co & let me know. I’d love to answer your questions while there’s still time left to apply!